Your fridge freezer breaking down is probably one of the most nuisance occurrences for your household, not to mention one that needs repairing incredibly quickly in order to save loosing the hard earned money spent on perishable goods . 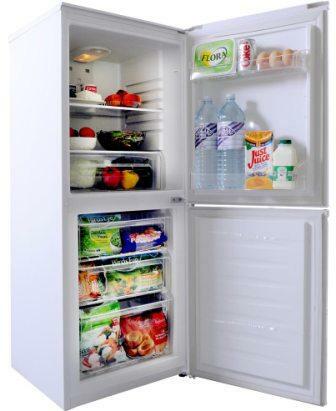 Contrary to popular belief, fridge repair needn’t be the costly task that it is often perceived to be. Advanced Appliance Care are specialists in a huge amount of domestic appliance repairs, including a wonderfully fast service in fridge repair and maintenance. They understand how frustrating it is when your household appliances stop working and they appreciate that you need them sorted as fast as possible. To ensure the highest level of professional service, Advanced Appliance Care aim to offer fridge repair on the very same day that you put in a call to them. They have immediate access to over 1 million spare parts, guaranteeing 12 months warranty on all fridge repairs with no hidden costs or charges. Advanced Appliance Care are leaders in the realm of kitchen and domestic repairs and with over 10 years’ experience behind them, your fridge repairs are safeguarded by this competitively priced, specialist and efficient company. Taking immense pride in the quality of workmanship, Advanced Appliance Care are completely committed to rectifying the issues you may have, and their duty to their clients is steadfast. Their expert team of engineers will work to a timescale that suits you, and will only ever use the recommended parts for your specific fridge repair. So if you are looking for fast and efficient domestic appliance repairs, get in touch with the team at Advanced Appliance Care by booking an engineer online. Please note we do not carry out fridge or freezer on American style refrigeration products.